There’s an old saying that “all roads lead to Rome.” With good reason, too. Rome during the Empire was massive, with crowded neighborhoods boasting a population density comparable to New York, and with roads snaking throughout the Empire to help provision its capital. Along with goods came people; both immigrants looking for jobs or education and slaves brought to Rome to serve the upper classes. 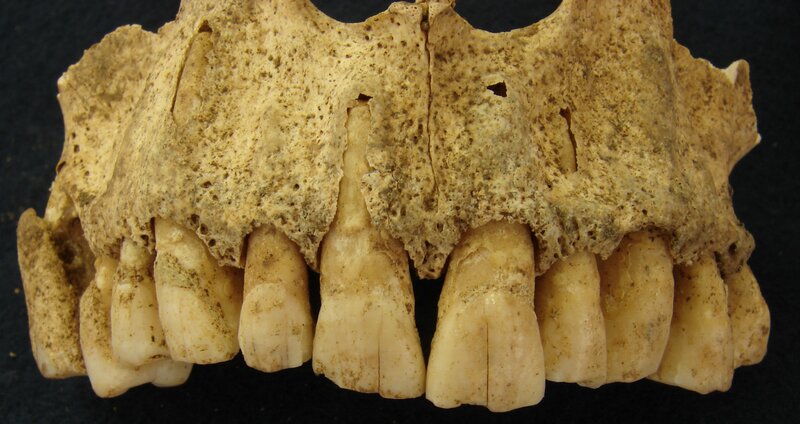 My new study, out today in PLOS One, uses teeth from Roman skeletons to start a conversation about migration to the capital during the Imperial period (1st–3rd century CE). We know from Roman history and from studies of ancient demography that the rate of migration to Rome had to be relatively high, and we know that many citizens could move freely around the Empire. But archaeologically speaking, migrants are practically invisible. Unless they were wealthy enough to leave monuments to their foreignness, these individuals are hard to see—especially among the lower classes and slaves who made the journey to Rome. But Roman skeletons hold different information than historical records and archaeological remains like material culture. 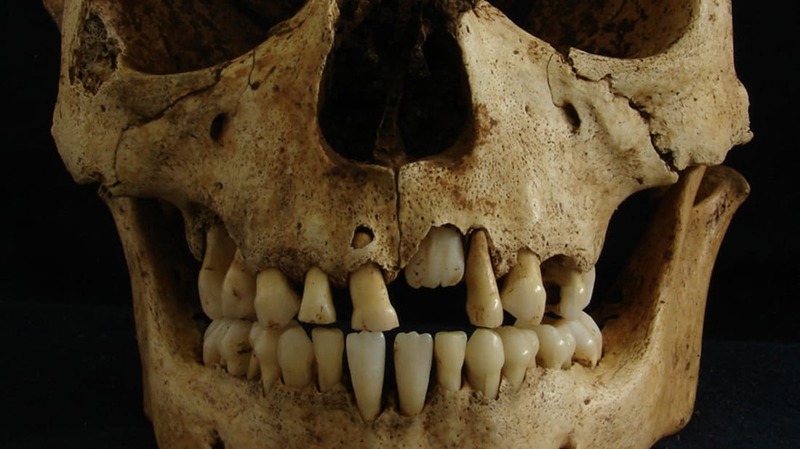 Bones and teeth can be analyzed by bioarchaeologists to reveal what someone ate, what diseases they had, and where they were born. 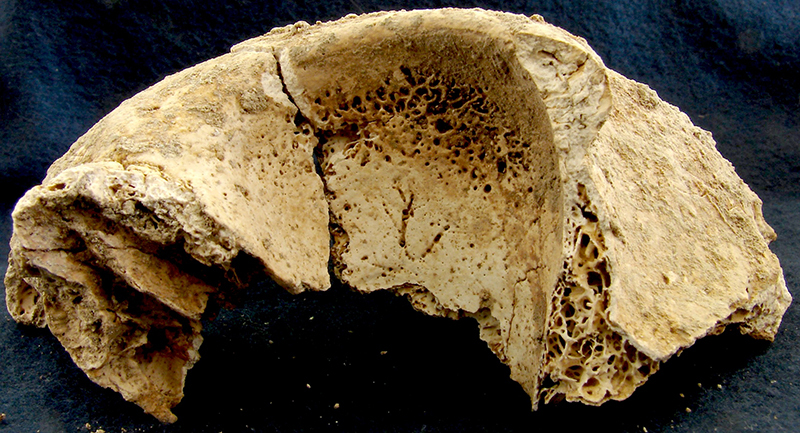 So skeletal analysis is starting to provide new answers to longstanding questions about ancient Roman lives, including people’s origins. Using molars from two cemeteries in Rome that date to the 1st–3rd centuries CE, my colleague Janet Montgomery and I analyzed the isotope ratios of strontium in 105 people and of oxygen in 55 people who were likely among the lower class, judging by their simple burials with few grave goods (objects buried with them). 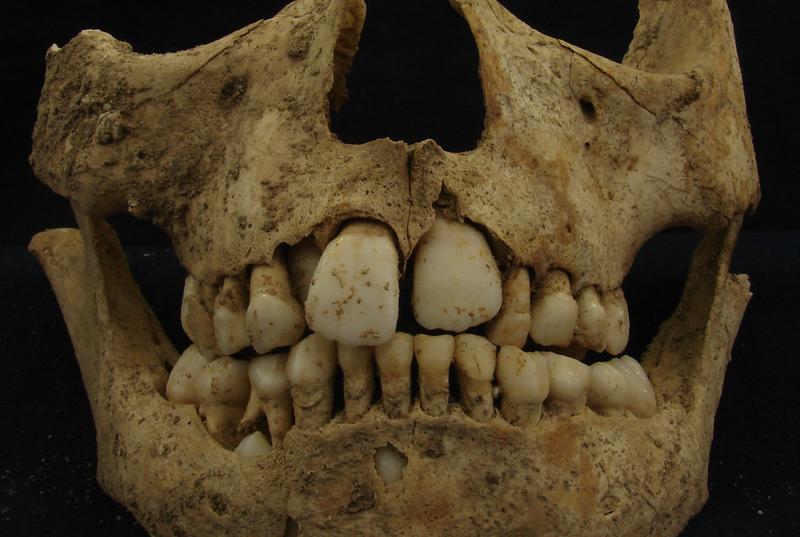 The ratio between two isotopes, or variants of an element, reflects the environment where a person lived while their teeth were forming in childhood. By comparing the strontium and oxygen isotope ratios present in the skeletons with the ratios expected for people raised in Rome, we could identify individuals whose isotope ratios did not correspond with an origin there. Since Imperial Rome was a very complex place—water was brought in via aqueducts from the east and wheat was brought in from as far away as North Africa—it is easiest to see immigrants whose isotopes are very far outside the norm for Rome. Out of more than 100 skeletons, we found four people—three adult males and one adolescent—who we are confident were from elsewhere. The adolescent's isotope ratios are consistent with an origin in Africa, and the males' are consistent with homelands in the Alps and Apennines. The isotope ratios of another four people, including two older children and a male and a female teenager, are less clear-cut, but these individuals were probably also not from Rome. Isotope analysis isn't a biological GPS, though, so while we can't be sure exactly where they came from, it seems that people arrived from all compass points. Given what we know from history, it is not surprising to find migrants among these skeletons, but it is a little surprising that we found so few. The scale of slavery and migration to Rome during the Empire means we should expect more people to be migrants. However, isotope analysis cannot distinguish among people who were born in Rome and people who were born in another, isotopically similar location. We may be missing some migrants who are hidden within the data. The people who came to Rome as children and died in Rome as children are particularly interesting. Of the eight probable immigrants, there are three adults, three teenagers, and two older children. This number of juveniles was unexpected because both voluntary migrants and slaves mentioned in the historical records are usually men. Based on their isotope ratios, two of the juveniles came from somewhere with older geology, like northern Italy, while the other three came from someplace warmer and drier than Rome, like North Africa. 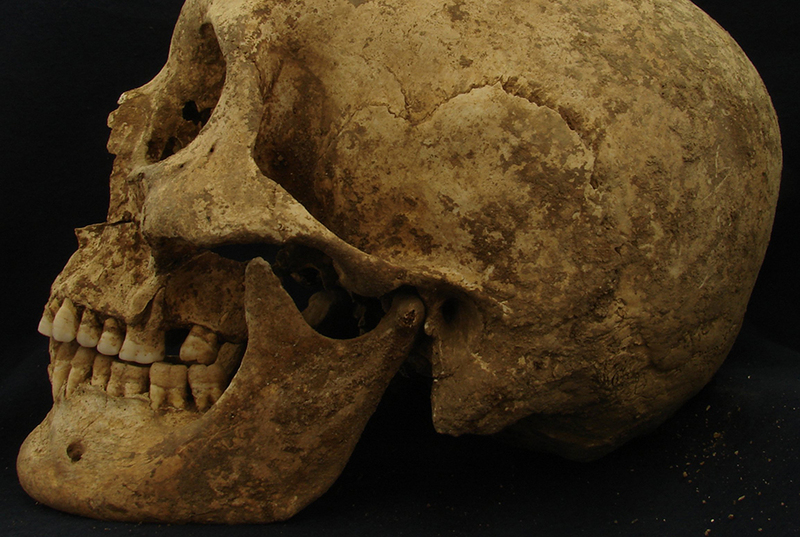 One adolescent in particular, whose eye orbit with an anemic condition is seen in the photo below, has a tooth with very different strontium, oxygen, and carbon isotope ratios compared to what we'd expect from Rome. His bones showed, though, that his carbon isotope ratio just prior to his death was in line with Rome. This indicates he changed his diet after migrating. While it makes sense that we'd see migrants adopting the diet of their new home at Rome, this is the first study to make that connection explicit through isotopes. Based on skeletons alone, we've discovered that people of both sexes migrated, often as children, and we've demonstrated a change in diet following migration. Why did they come to Rome? Some were motivated to migrate in antiquity for many of the reasons people are motivated today: to find a better job, to be educated, to make a better life. But many were forced to come. We know from historical records that the scale of slavery in the Roman Empire dwarfed the amount of voluntary migration. Still, slavery in ancient Rome was often a temporary legal status, and manumission of slaves was common. There is nothing in the isotopes, the skeletons, or the graves that clearly identifies slaves or voluntary immigrants. This work, though, opens up a new way of looking at migration to Rome that may eventually yield new information on the history of slavery and the experiences of Roman slaves. The work that I and many colleagues are doing in the bioarchaeology of ancient Rome demonstrates that physical remains can give us new information about a culture that people have been studying for millennia already. The bodies of people throughout the Empire are helping us flesh out the skeleton of Roman history with the experiences of the people whose stories have not yet been told. Killgrove K, Montgomery J (2016) All Roads Lead to Rome: Exploring Human Migration to the Eternal City through Biochemistry of Skeletons from Two Imperial-Era Cemeteries (1st-3rd c AD). PloS ONE 11(2): e0147585. doi: 10.1371/journal.pone.0147585.